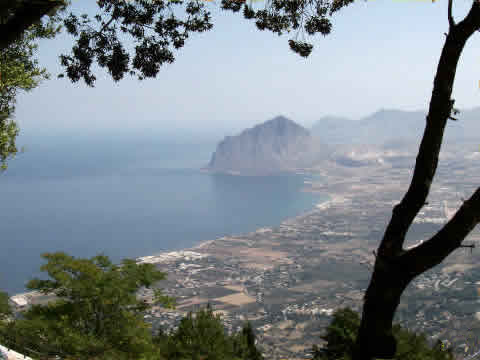 Erice on the lon and mountain of western Sicily (751m.) 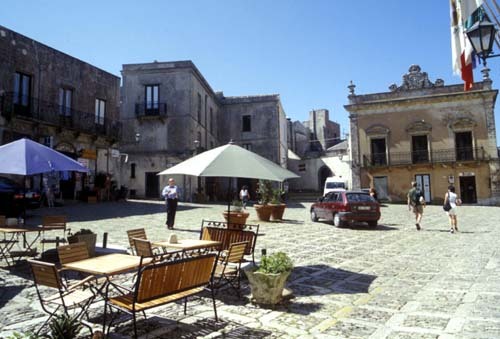 is a magnificent medieval town, whitch has remained intact until today. 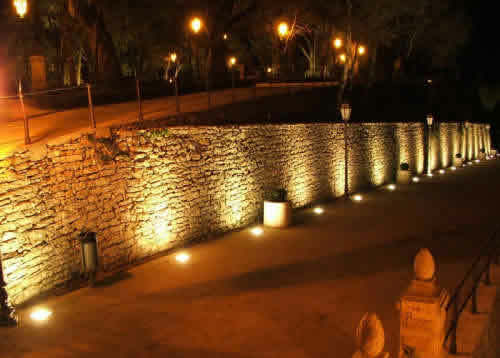 It is a singular synthesis of myth and history, art and culture, landscape and environment, fantasy and reality. 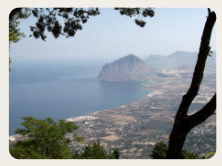 Its origins are very old, it would seem to have been founded by the mythical Erice, the son of Venus and Butex, who became king of Elyms, an ancient mountain people who settled the nearby Segesta. 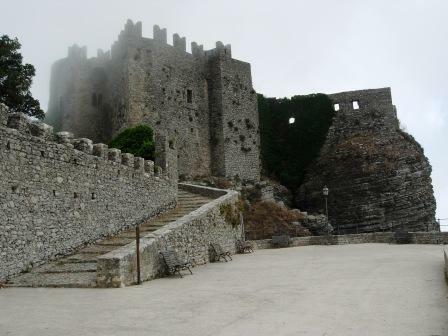 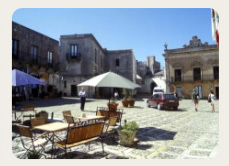 Erice is considered the main tourist resort of the area. 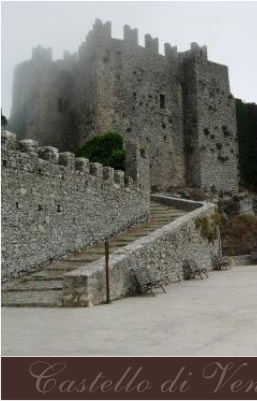 Amoung the monuments of historical interest are Venus' Castle, Pepoli Caste, the Tower of the Balio, the beautiful old churches, amoung which the Madrice (13th C).